[dropcap size=big]A[/dropcap]fter a hugely successful Kickstarter campaign and a lengthy Early Access, InXile Entertainment’s highly anticipated Wasteland 2 debuted. The second franchise installment dropped in 2014, continuing the narrative from 1987’s Wasteland. I reviewed the beta and final cut earlier, but never had the opportunity to play the classic Wasteland. Thanks to the Digital Deluxe edition of Wasteland 2, I was able to get my hands on a copy of the original series entry, and thought I’d return to the post-apocalyptic stomping ground. With 27 years between the two titles, there were many differences, but a fair amount of similarities. The most obvious changes are, not surprisingly, graphics. It’s probably the most rapidly evolving aspect of gaming, and 27 years is quite a leap. Still, for a 28 year old game, Wasteland 1 holds its own, even blown up on my 22” Lenovo monitor. Both Wasteland games feature top down views, and I actually found that despite understandable graphical difference, both games were similarly vibrant. At first glance, you’re comparing two opposing entities, but a bit of time spent with both Wasteland environments proved the contrary. Color is integral in Wasteland and Wasteland 2, ironically since they’re post-nuclear atmospheres. The desert and mountains in both games are barren, but various locales throughout the map pop with pigment. They say the grass is always greener on the other side, but that’s pretty green. I found Wasteland 1 easier to play, with Wasteland 2 occasionally unrelenting. Hey, just because I write about and review video games doesn’t mean I’m a pro. Notably, navigation is much more forgiving. There’s no water meter that depletes as you move, though messages like “it’s getting warmer,” pop up while in the desert. 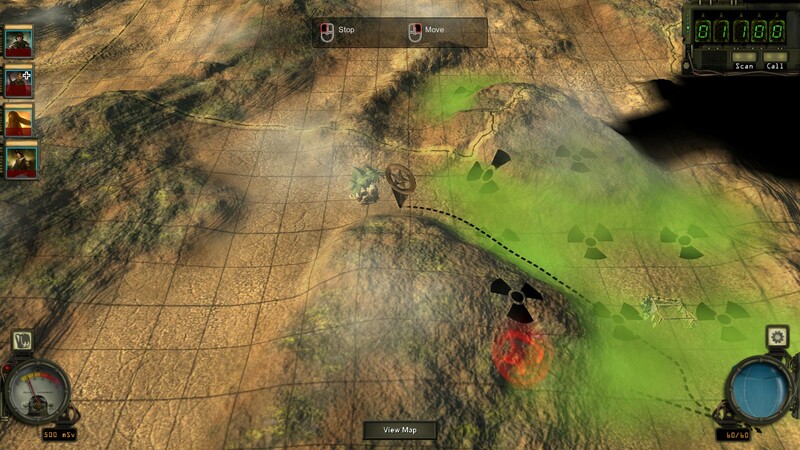 Additionally, deterrents like mountains prevent progression through various sections of the map in both Wasteland and Wasteland 2. 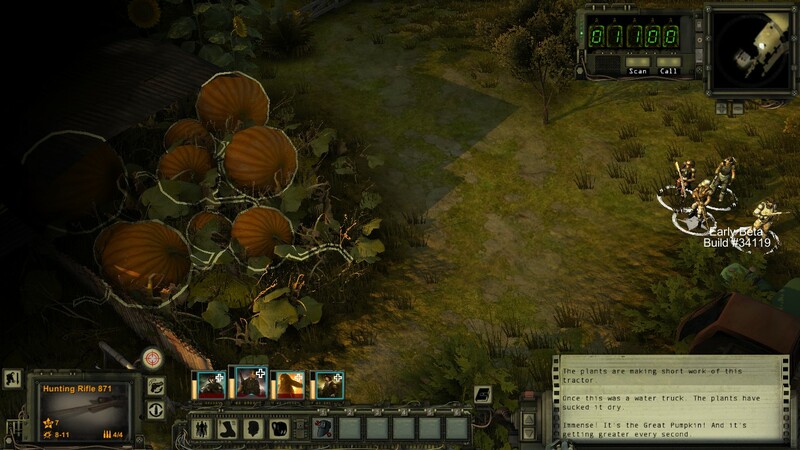 In Wasteland you begin with a core set of four characters, but can add party members as you progress, and it’s a similar dynamic in Wasteland 2. NPCs litter the map, and you can recruit them and interact with them in various capacities. The classic Wasteland allows you to chat with NPCs via typing, while Wasteland 2 features voice acting. Interestingly, the soundtracks shared similar tunes, which I quite enjoyed. It’s a nice touch, and one which fosters continuity. Plot, however, is really where Wasteland 1 and 2 converge. Wasteland 2 picks up with the death of Ace, a Desert Ranger from the original game. 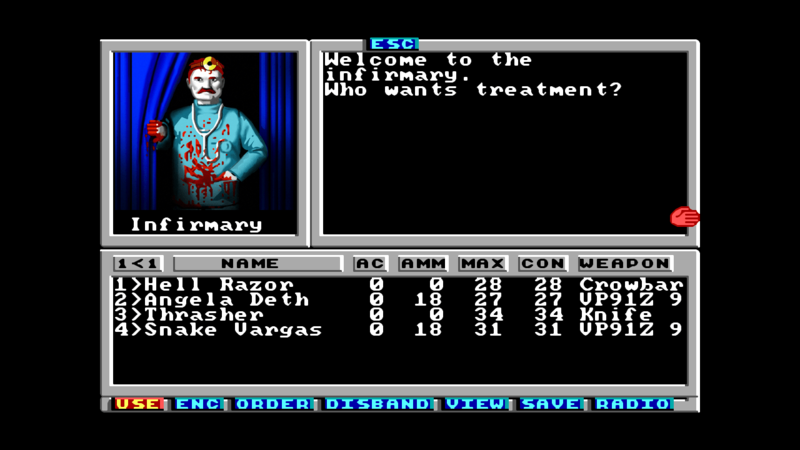 A four party team of Rangers then embarks into the treacherous Wasteland, much the same as the opening for Wasteland 1. There are many of the same locations like Highpool, and characters such as Hell Razor. Even the plot from Wasteland 2 mimics that of the original classic, though diverging substantially. Ok, who was holding the map upside down? Delving into InXile’s 1987 Wasteland, I was offered a greater appreciation for the sequel which I loved. During my first playthroughs of Wasteland 2 I felt it was a superb, polished game. I still support this notion. However, after actually experiencing the first Wasteland, I view Wasteland 2 as an update, continuation, and homage to a groundbreaking game. The 1987 role-playing game wouldn’t receive an official sequel until 2014, though in the meantime games like Fallout rose from the same creative primordial soup from which Wasteland 1 first crawled. Whether you’re like me and missed Wasteland back in the day, or played the heck out of it, it’s really neat to visit both post-apocalyptic playgrounds back-to-back. Now, who wants pumpkin pie? Next articleWant More Yuri Visual Novels Like Starlight Vega? Try These.